Color matched with durable Cerakote in your favorite Magpul colors! Timber Creek Outdoors shows us once again what you get when you combine great US-made components with a visual pop that lasts. This buffer tube is true mil-spec, machined from a 7075 T6 aluminum extrusion for superior durability, and compatibility with your choice of mil-spec buttstock. 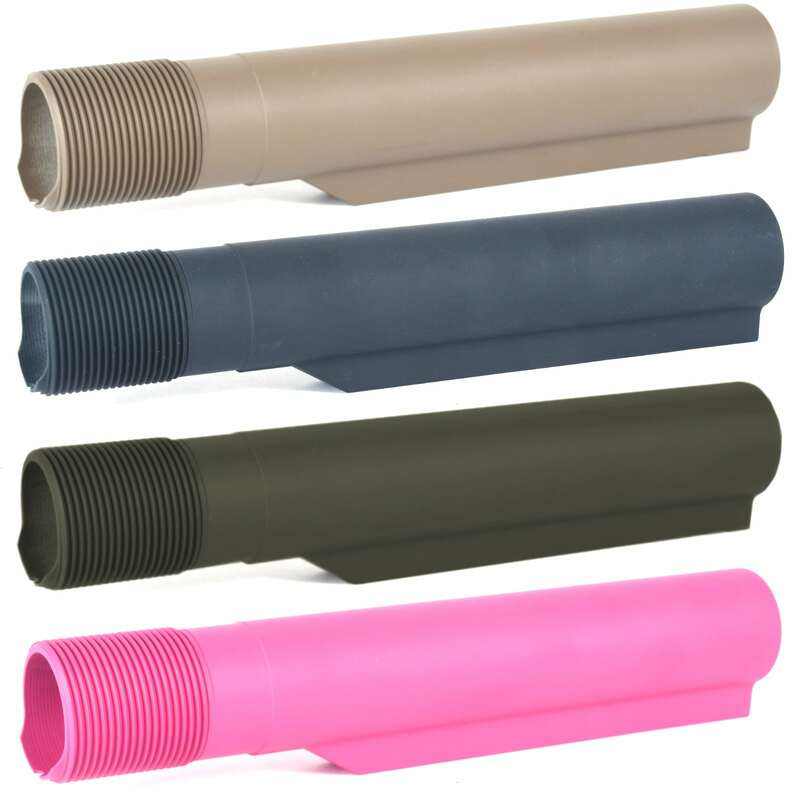 But rather than standard anodizing in black, these buffer tubes are finished with Cerakote, the ultra-durable ceramic coating that lasts, and comes in a selection of colors to match Magpul furniture on your next build. Choose from Flat Dark Earth, Gray, OD Green, or Pink! The color was perfect match to my upper and lower in fde. The service was 5star. Ship to my house in 3 days. Looking forward to do more business with AT3 tactical.